FREE Biotrue Contact Lens Solution Sample! You are here: Home / FREEbies / FREE Biotrue Contact Lens Solution Sample! I have a great FREEbie for all of you who wear contact lenses! 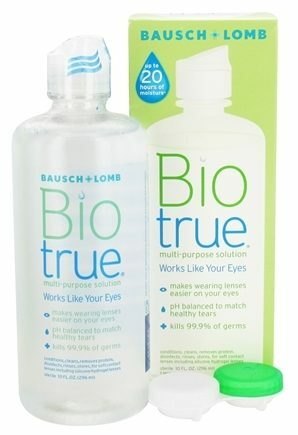 Head over to Target’s sample site to grab a FREE sample of Biotrue Contact Lens Solution! Contact solution can be expensive, and both my husband and I wear contacts, so I grab these FREEbies whenever I can! Even the little bottles add up!